Since 1996, Times of the Islands has captured the spirit of life along the Southwest Florida coast. Our name is synonymous with everything that captures the true essence of island living: the natural beauty of sunsets and tropical vegetation, the placid gulf waters, and the relaxed demeanor of those who reside here. 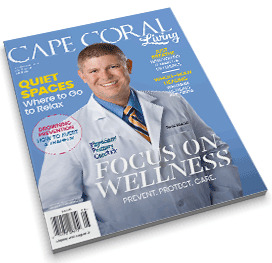 Each issue explores the intriguing personalities, fine dining, top-notch shopping, and cultural attractions that can be found among the region’s coastal communities and barrier islands. We strive to share these stories in a colorful and informative way with our readers, who may be first-time visitors looking for restaurant recommendations or longtime residents learning more about their fellow Southwest Floridians. We also include articles with a broader focus on topics that we feel are of interest to our readers, such as the environment, travel, health, and cuisine. The end result is an award-winning publication that celebrates life on the Southwest Florida coast and the lives of the area’s coastal residents and visitors.